Religious symbolism is the use of acts, artwork, and events to create a mythos expressing the teachings of the religion. Christianity has borrowed from the common stock of significant symbols known to most periods and to all regions of the world. Universalism refers to religious, theological and philosophical concepts with universal application or applicability. Comparative religion is the systematic comparison of the doctrines and practices of the world’s religions. Universalism: The theological belief that all souls can attain salvation. comparative religion: Comparative religion compares the doctrines and practices of the worlds religions. Religious symbolism is the use by a religion of symbols including archetypes, acts, artwork, events, or natural phenomena. Religions view religious texts, rituals and works of art as symbols of compelling ideas or ideals. Symbols help create a resonant mythos expressing the moral values of the society or the teachings of the religion, foster solidarity among adherents, and bring adherents closer to their object of worship. The symbolism of the early Church was characterized as being understood by initiates only. After the legalization of Christianity in the 4th-century, more recognizable symbols were put in use. Christianity has borrowed from the common stock of significant symbols known to most periods and to all regions of the world. The study of religious symbolism is either universalist, a component of comparative religion and mythology, or seen in a localized scope within the confines of a religion’s limits and boundaries. Universalism refers to religious, theological and philosophical concepts with universal application or applicability. Religion in this context is defined as a set of beliefs concerning the cause, nature and purpose of the universe. This is especially true when religion is considered the creation of a superhuman agency or agencies, usually involving devotional and ritual observances containing a moral code governing the conduct of human affairs. Comparative religion concerns the systematic comparison of the world’s religions. There are many benefits to such a course of inquiry, but in general the comparative study of religion yields a deeper understanding of the fundamental philosophical concerns of religion, including ethics, metaphysics and the nature and form of salvation. Religious symbolism is effective when it appeals to both the intellect and the emotions. The choice of suitable acts and objects is narrow enough that it would not be easy to avoid the appearance of an imitation of other traditions, even if there had been a deliberate attempt to invent an entirely new ritual. A ritual is a set of actions performed mainly for their symbolic value, that may be prescribed by the traditions of a community. The term ritual usually refers to actions which are stylized, while excluding actions which are arbitrarily chosen by the performers. In religion, a ritual can comprise the prescribed outward forms observation within a religion or religious denomination. The purposes of rituals are varied and may include fulfillment of religious obligations or ideals, satisfaction of spiritual or emotional needs of the practitioners, strengthening of social bonds, social and moral education, etc. The social function of rituals has often been exploited for political ends. Alongside the personal dimensions of worship and reverence, rituals can have a more basic social functions in expressing, fixing, and reinforcing the shared values and beliefs of a society. Many animal species use ritualized actions to court or to greet each other or to fight. social function: Rituals may serve a social function in that they express, fix, and reinforce the shared values and beliefs of a society. A ritual is a set of actions performed mainly for their symbolic value. It may be prescribed by the traditions of a community, including by a religious community. The term usually refers to actions which are stylized, and usually excludes actions which are arbitrarily chosen by the performers. The purposes of rituals are varied. Rituals can fulfill religious obligations or ideals, satisfy spiritual or emotional needs of the practitioners, strengthen of social bonds, provide social and moral education, demonstrate of respect or submission, allow one to state one’s affiliation, obtain social acceptance or approval for some event—or rituals are sometimes performed just for the pleasure of the ritual itself. Rituals of various kinds are a feature of almost all known human societies, past or present. They include not only the various worship rites and sacraments of organized religions and cults, but also the rites of passage of certain societies, atonement and purification rites, oaths of allegiance, dedication ceremonies, coronations and presidential inaugurations, marriages and funerals, school “rush” traditions and graduations, club meetings, sports events, Halloween parties, veterans parades, Christmas shopping and more. In religion, a ritual can comprise the prescribed outward forms of observation within a religion or religious denomination. Although ritual is often used in conjunction with worship performed in a church, the actual relationship between any religion’s doctrine and its ritual(s) can vary considerably from organized religion to non-institutionalized spirituality. The social function of rituals has often been exploited for political ends. Alongside the personal dimensions of worship and reverence, rituals can have social functions that express, fix and reinforce the shared values and beliefs of a society. Rituals can help create a firm sense of group identity. Humans have used rituals to create social bonds and even to nourish interpersonal relationships. For example, nearly all fraternities and sororities have rituals incorporated into their structure, from elaborate and sometimes secret initiation rites, to the formalized structures used to convene a meeting. Thus, numerous aspects of ritual and ritualistic proceedings are ingrained into the workings of those societies. Ritual actions are not only characteristic of human cultures; animal rituals exist as well. Many animal species use ritualized actions to court or to greet each other, or to fight. At least some ritualized actions have very strong selective purpose in animals. For example, ritualized fights often help avoid or limit strong physical violence between conflicting animals. Devotees tie red crimson threads on making a wish fulfilled. 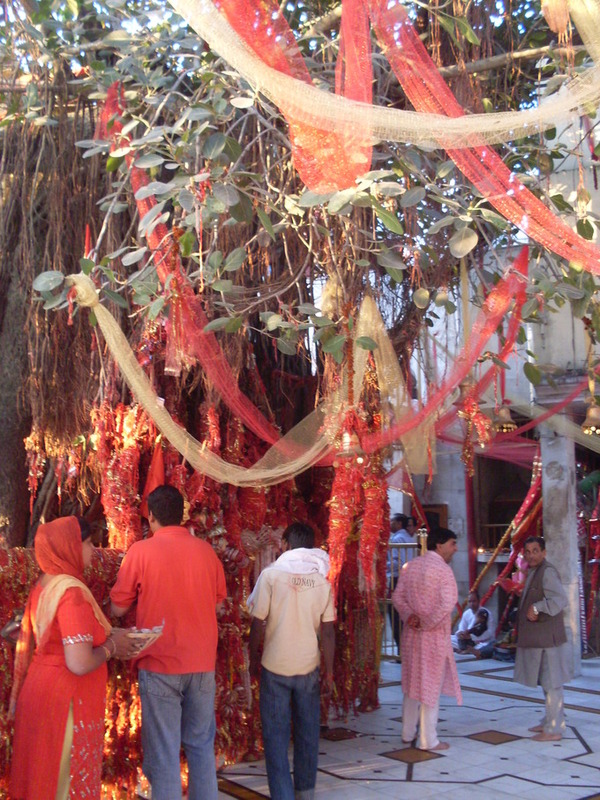 : The temple dedicated to Mata Chintpurni Devi is located in District Una of Himachal Pradesh. Religious belief is a strong belief in a supernatural power or powers that control human destiny. Religious adherents often distinguish religious belief from superstition. The term superstition refers to what are seen as excessive or false religious behaviors as opposed to proper or accepted religious standards. People with pluralist beliefs make no distinction between faith systems, viewing each one as valid within a particular culture. People with syncretistic views blend the views of a variety of different religions or traditional beliefs into a unique fusion which suits their particular experience and context. People with exclusivist beliefs typically explain other religions as either in error, or as corruptions or counterfeits of the true faith. In monotheistic faiths, references to God are used in constructs such as “God’s Chosen People”. People with inclusivist beliefs recognize some truth in all faith systems, highlighting agreements and minimizing differences, but see their own faith as in some way ultimate. pluralist beliefs: Religious pluralism is an attitude or policy regarding the diversity of religious belief systems co-existing in society. superstition: A belief, not based on human reason or scientific knowledge, that future events may be influenced by one’s behaviour in some magical or mystical way. supernatural power: The supernatural is that which is not subject to the laws of nature, or more figuratively, that which is said to exist above and beyond nature. Religious belief is a strong belief in a supernatural power or powers that control human destiny. Such a state may relate to the existence, characteristics, and worship of a deity or deities; divine intervention in the universe and human life; or values and practices centered on the teachings of a spiritual leader. In contrast to other belief systems, religious beliefs are usually codified. Religious adherents often distinguish their own religious beliefs from superstition. Both superstition and many traditional religions are non-materialistic, do not see the world as being subject to laws of cause and effect, and presume that there are immaterial forces influencing our lives. Both religion and superstition seek meaning in otherwise random and chaotic events. However, the term “superstition” refers to what the speaker sees as excessive or false religious behavior as opposed to belief or behavior within a proper or accepted religious standard. 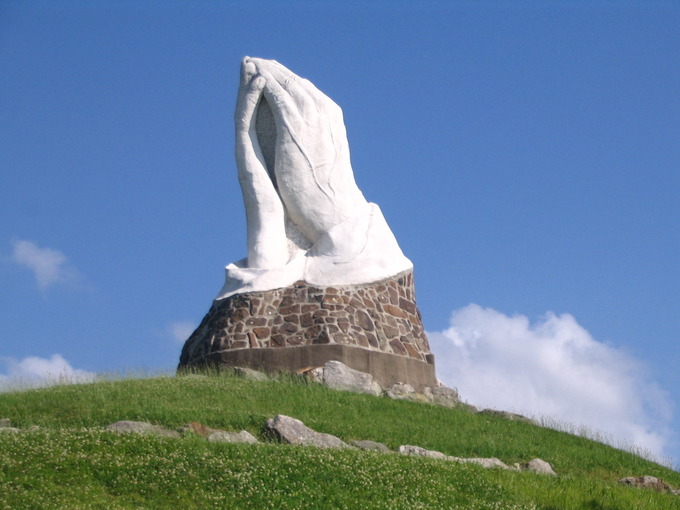 Praying Hands: Praying is an act of belief in many religious faiths. People with pluralist beliefs make no distinction between faith systems, viewing each one as valid within a particular culture. People with syncretistic views blend the views of a variety of different religions or traditional beliefs into a unique fusion which suits their particular experience and context. Adherents of particular religions deal with the differing doctrines and practices espoused by other religions in a variety ways. People with exclusivist beliefs typically explain other religions as either in error, or as corruptions or counterfeits of the true faith. Throughout history, various groups of people have considered themselves as chosen by a deity for a purpose, such as to act as the deity’s agent on earth. In monotheistic faiths, like Abrahamic religions, references to God are often used in constructs such as “God’s Chosen People. ” By contrast, people with inclusivist beliefs recognize some truth in all faith systems, highlighting agreements and minimizing differences, but often see their own faith as in some way ultimate. A religious experience is usually an uncommon occurrence in which an individual encounters what he or she considers to be the divine. The German thinker Rudolf Otto argued that all religious experiences are “numinous” experiences. For Otto, this meant that they invoked the mysterium tremendum, which is the tendency to invoke fear and trembling, and the mysterium fascinas, which is the tendency to attract, fascinate, and compel. In ecstasy, the believer is understood to have a soul or spirit which can leave the body. In enthusiasm, God is understood to be outside, other than, or beyond the believer. In such a belief system, this outer deity is believed to occasionally inhabit and possess the bodies of people. Those who are possessed in this way are often called mediums. In the mystical experience, all otherness disappears and the believer becomes one with the transcendent. The believer discovers that he or she is not distinct from other objects, other people, the cosmos, the deity, but part of an interconnected whole. The term spiritual awakening can refer to any of a wide range of experiences, including being born again, having a near-death experience, or achieving mystical liberation or enlightenment. mystical experience: In the mystical experience, all otherness’disappears and the believer becomes one with the transcendent. The believer discovers that he or she is not distinct from the cosmos, the deity, or the other reality, but one with all of these, as part of an interconnected whole. numinous experiences: Numinous is is an English adjective describing the power or presence of a divinity. The numinous experience has both a quality of tremendum, which is the tendency to invoke fear and trembling, and a quality of fascinans, the tendency to attract, fascinate and compel. The numinous experience also has a personal quality to it, in that the person feels to be in communion with a wholly other. The numinous experience can lead in different cases to belief in deities, the supernatural, the sacred, the holy, and/or the transcendent. Religious experience is the subjective experience in which an individual reports that he or she has either contacted a transcendent reality, or encountered, in some fashion, the divine. A religious experience is usually uncommon, because it rarely involves everyday activities and life experiences, and because it is enmeshed with a particular individual’s perception of the divine. Studying religious experience objectively is a difficult task, because it is entirely a subjective phenomenon. Definitions of what exactly is divine, and what is not, might differ from person to person. However, scholars have identified certain features that seem to be either common or patterned among many religious experiences. This has allowed them to study religious experience objectively. Rudolf Otto, a German thinker, attempted to theorize a single term that could explain the structure of all religious experience independent of cultural background. In his book, The Idea of the Holy, he identified this and called it the “numinous” experience. For an experience to be numinous, in Otto’s opinion, it needed to involve two things. First, it had to include the mysterium tremendum, which is the tendency to invoke fear and trembling. Secondly, it had to include the mysterium fascinas, which is the tendency to attract, fascinate or compel. According to Otto, a numinous experience also has a personal quality to it, because individuals typically feel that they are opening some unique communication chain with the divine. Communication with the divine can express itself in two ways, the first of which relates to ectsasy, the second to enthusiasm. In ecstasy, believers are understood to have a soul or spirit which can leave the body. Characteristic of the shaman, the goal of this type of experience is to leave one’s body and experience transcendental realities. In enthusiasm, on the other hand, God is understood to be outside, other than, or beyond the believer. In this type of experience, a sacred power is believed to enter people occasionally, and gain possession of their bodies. A person capable of being possessed is sometimes called a medium. Mystical experiences are in many ways the opposite of numinous experiences. In mystical experiences, all ‘otherness’ disappears, and the believer recognizes that they are one with the transcendent. The believer discovers that he or she is not distinct from other objects, the cosmos, the deity, or other realities, but part of a grand interconnected whole. This type of experience often comes into tension with institutional religion. Conventional religions, by definition, have strong institutional structures, including formal hierarchies and mandated sacred texts and/or creeds. Adherents of these institutional faiths are expected to respect or follow these mandates closely, all of which rely on demarcations and rigid hierarchies. Because mysticism emphasizes radical unity, which is the opposite of hierarchy, it is often deprecated or persecuted by members of these institutional faiths. A spiritual awakening usually involves a person realizing, or becoming aware of, a sacred dimension of reality. While this may or may not be considered a religious experience, a spiritual awakening often has lasting effects upon an individual’s life. The term “spiritual awakening” can refer to a wide range of experiences, including being born again, having a near-death experience, or achieving mystical liberation or enlightenment. 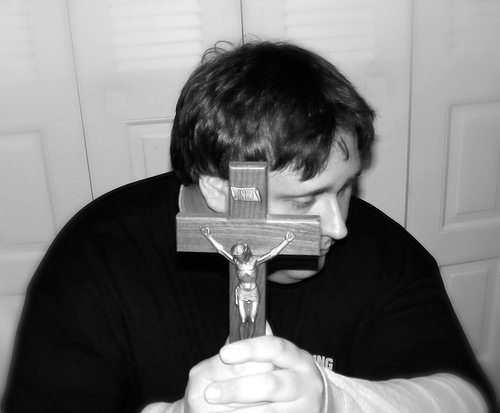 Catholic Religious Experience: Religious experience in Catholicism is accomplished by praying to Catholic religious symbols.